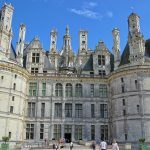 The Chateaux in the Loire were created to be second homes and visual symbols of power and wealth. 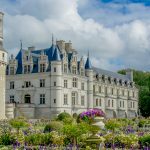 Those who owned chateaux didn’t usually live in them permanently, there are some exceptions, but on the whole, owners visited them rarely, taking their possessions with them. Unlike today when owners furnish their holiday homes, in the old days, people carried their belonging from home to home. Beds, chairs, cutlery, dishes, tapestries etc were expensive and even the royal family seldom decked out their chateaux with permanent collections. Take Chambord. Built by Francis 1, the flamboyant King of France (born 1494). 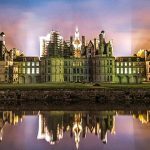 He began work on the castle in 1519, inspired by Leonardo da Vinci (who died that year) and who had been working for the King for the last three years. 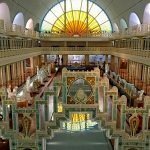 Immense, architecturally stunning with a double helix staircase whose design may well be by da Vinci, it cost a fortune. And yet Francis spent only 40 nights there in total. 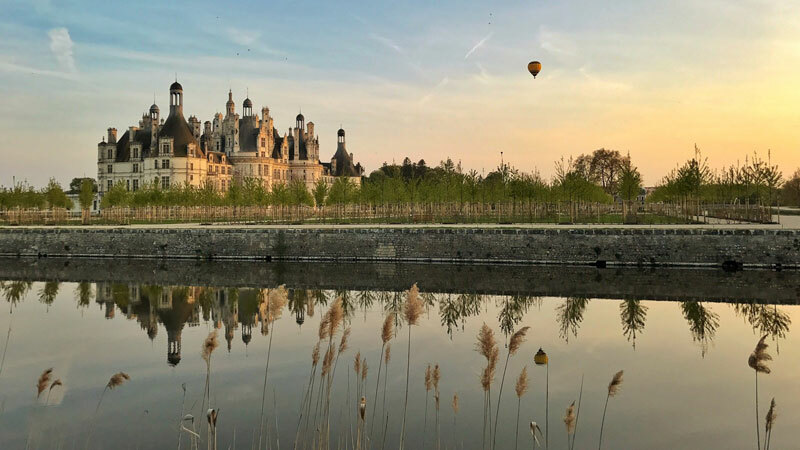 Chambord is dazzling and unlike any other Chateau. The great French writer Victor Hugo said of it “All magic… all madness is represented in the bizarreness of this palace of fairy kings and queens”. And, he’s right, this really does look like a magical castle, with an ethereal air, almost delicate but over powering at the same time. 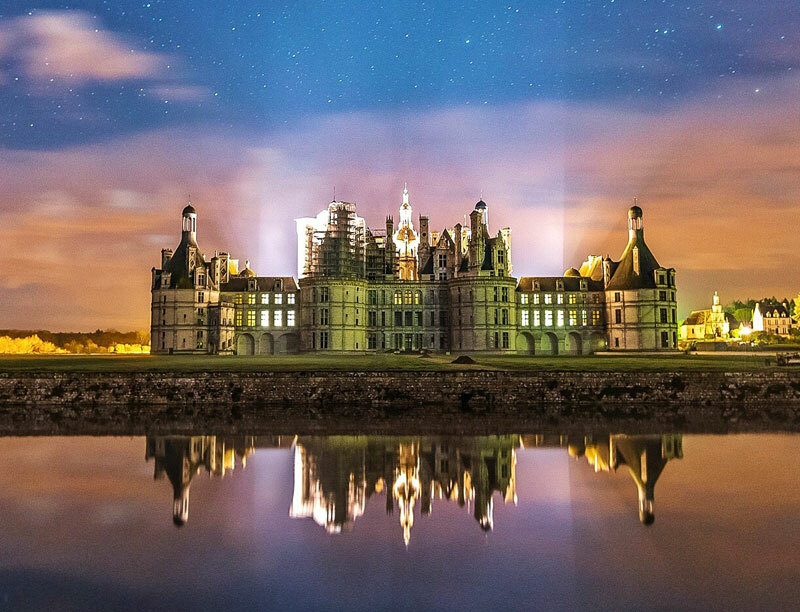 Teeming with turrets and towers, gleaming white stone contrasts with its pointy black slate roof, it is a magnificent display of power and taste. Francis I never saw the chateau finished. Six years after work started, the king was taken prisoner by Charles V after a battle in Italy. To secure his freedom, he gave up Flanders and Burgundy and his two sons as a ransom. But, obsessed with Chambord, he kept pouring money into it, leaving him nothing to pay for his sons return. 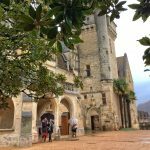 It took until 1539 for the chateau to be deemed habitable, though not finished, and between then and his death, Francis stayed there only 40 nights. Subsequent kings and queens loved Chambord, especially Louis XIV, though when his own Versailles was complete, Chambord fell out of his favour. 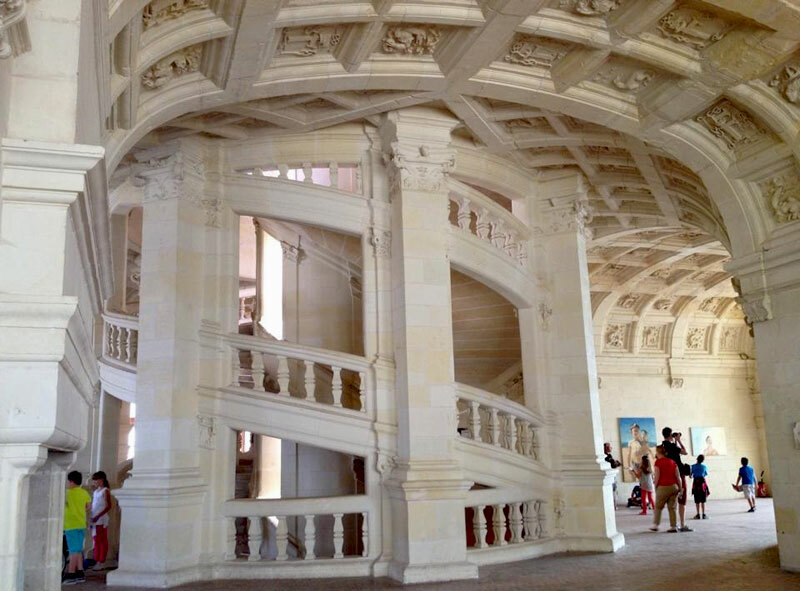 After the French Revolution Chambord was looted and pretty much neglected. No one wanted it and it was too expensive to pull down as was considered. Eventually a massive restoration programme was put in place thankfully ensuring that we can see this incredible monument today. 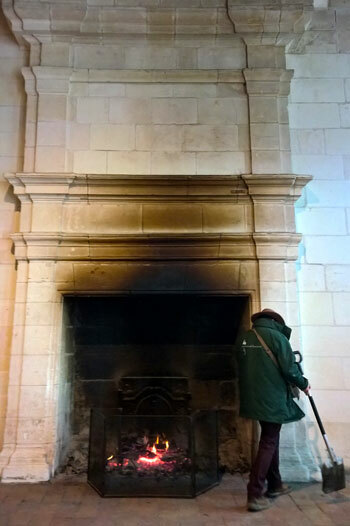 The chateau has 440 rooms and 400 fires, which on chilly days you’ll find some are lit. It’s lovely to see the embers glowing and the rooms scented with the smell of a wood fire, just as they would have been when it was inhabited. Some rooms are furnished with tapestries, paintings and furniture, many are empty, just as they would have been. It doesn’t matter, this place is so huge there’s plenty to see. 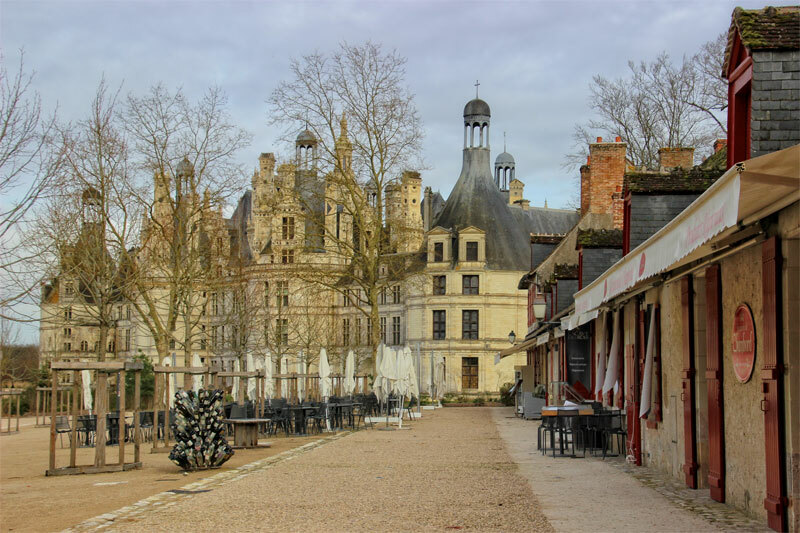 Don’t miss a trip to shops, restaurants, maison des vins and the lovely biscuiterie in the tiny town-like estate at the foot of the chateau. I had to be dragged out of the biscuit shop and away from the utterly delicious cherry fancies! Here you can also do a free wine tasting and buy Chambord, a sweet French liqueur that’s very more-ish. Made from honey, vanilla and raspberries, drink it neat, with white wine or Champagne or even splashed over ice cream. It’s notoriously difficult to get hold of overseas and even in France – this really is an exclusive sip. Stay in the area at La Maison d’a Cote www.lamaisondacote.fr it’s a gorgeous boutique hotel with beautifully decorated rooms in a tranquil town in the countryside. 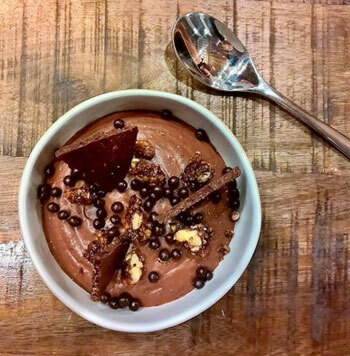 The chef/owner, the renowned Christophe Hay, makes delectable dishes – his chocolate mousse is the best I have ever tasted.